Cars are a vital part of everyday modern life that allow people to get where they need to go. However, they won’t just go and go forever. A car is fundamentally a collection of many working parts, where one impacts the next and so on. If perhaps one part of the car does have an issue, it is important to fix it as quickly as possible, to prevent further damaging other parts. Yes, it really is important to keep up on oil changes. The reason for this is because motor oil gets thick and nasty like a sludge substance over time, and the deposits will wear down your engine. Changing your car’s oil can help you refresh the oil before it gets to that point, preventing your car from contamination by constant exposure to heat, air and moisture. If you wait too long in between oil changes, the result can be catastrophic and very expensive to fix. Recommendations for oil change intervals vary from every 3000 miles to 10,000 miles, so a good average is every 5000 miles. The cooling system in a car keeps it from overheating by circulating coolant through the car’s engine, absorbing heat from the blocks and heads and sending it to the radiator. After so long, the cooling system can start to corrode and acquire a buildup of deposits which hinder its function. For this reason, it is helpful to annually flush the cooling system with a mix of half water and half coolant. A car’s transmission moves energy from the engine to the drivetrain to get the car moving, while the differential compensates for the difference between the inner and outer wheels when handling corners. Fluids are needed for both to ensure proper function. However, the fluids do eventually wear down if they are not replaced. As a result, the inside of the transmission can overheat and wear can develop on the gears and bearings. This is why it is important to change these oils at regular intervals, and to use the recommended oil type and oil viscosity. Driving a clean car feels and looks nice, however it is more important than that. Washing your car regularly ensures proper function because anything that you run over, can get stuck under the car. Avoid rust and malfunction by hosing off grime and salt underneath, in addition to cleaning the exterior. While many cars these days do not need to be greased nearly as often as was previously the case, older cars with greased ball joints will need lubing at regular intervals. Additionally, if your car is making creaking noises, especially when going over bumps, it may need lubrication. Generally, lube modern cars every few years. The inside of your car can reach well above 100 degrees Fahrenheit on a hot summer day in the sun, and the exterior can reach even higher if it is parked in direct sunlight! It is really important to protect your car from the sun because, after repeated exposure, damage occurs to parts within the car. Always make sure that your belts are not cracked or damaged, the coolant level is sufficient, and that your car’s hoses are not worn out or damaged. Oil, coolant, transmission fluid, brake fluid and power steering fluid all help to keep your car moving, and at high temperatures, it is important that they are all at the proper level to protect the life of your car. You should check the air filters in your car regularly during hot weather because dust can clog them, reduce the gas mileage of your car, and it can cause your car’s mass air flow sensor to become damaged. You can protect the inside of your car by parking it in the shade and/or using a window deflector, and should also use a UV protection on the plastic and vinyl to keep it from drying out and cracking/fading. A wheel bearing lets the wheels on a car move around and holds them securely to the car. There are four wheel bearings on a car, one for each wheel. The wheels and steering wheel will begin to shake when your wheel bearings wear out. You should have your car checked out as soon as possible if this happens. A sealed wheel bearing needs to be replaced all together when it is defective. If your car was made before 1997, there are two wheel bearings in each front tire (1 inner and 1 outer). You should clean, and fill it with new grease or have it inspected every 30,000 miles. If your car was made after 1998 then there is one wheel bearing in each tire, it is called a hub and bearing assembly. This unit needs to be replaced when it shows signs of wear. An abnormal noise coming from your tires like squealing or grinding when you are driving. The steering wheel might shake when you are driving. The wheel will not move forward easily if the wheel bearing is locked up. Next, your car’s brake fluid absorbs moisture which causes the brake components to become corroded and malfunction. We all know how important it is for brakes to work when we are relying on them, so bleed the braking system once per year and be sure to replace brake fluid. Wheel and tyre care is also a big part of car maintenance. You should rotate your cars tyres every 5,000 miles and always clean brake dust off your wheels. The nasty grime from the road, moisture and heat from your brakes will cause the sludge to bake onto your tyres. A damp sponge can be used with clean cold water to do the trick. Next, your car tyre pressure should be checked one a week. If the pressure is off, it can have a negative effect on gas mileage, the cars handling and comfort. Lastly for wheel and tyre care, check the tread of your cars tyres because bald, slick tires are not good for keeping you on the road. Some tyres come with a tread wear indicator built into them. Examine your tyres regularly and if the tread is too low, it’s time to replace them. Once disconnected, most new cars have a 12 volt negative ground electrical system, and the battery terminals and contacts need to be clean so that the current can pass around the electrical system freely. You can remove the terminal caps and clean the post with a wire brush. There you have it! These 10 tips cover the basic fundamental care you should be performing on your car. In doing these regularly, your car will thank you by staying in working order and taking you where you need to go for years to come. A little proactive maintenance goes a long way in preventing expensive repairs and extensive damage! Before taking to the roads this Summer, you can take several simple precautions to keep your family safe and save money at the fuel pumps. Extreme heat and long drives can be tough on cars. Cracked hoses, leaky radiators, under-inflated tyres and dirty filters can significantly lower your fuel efficiency, or worse, lead to a total breakdown. Tyres are one of the most overlooked parts of a car. Under-inflated, over-inflated, worn or misaligned tyres can be extremely dangerous, particularly in hot summer weather. Don’t forget to check your spare tyre. Check hoses for cracks, leaks and loose connections. The most vulnerable parts of the hose are those nearest to clamps where the hose connects to the radiator or the engine. Belts can also be visually checked for cracks and damage. Take note if the belt looks excessively shiney or smooth. Cars are designed to run hot, but there’s a limit to how hot they should run. A combustion engine is most efficient at around 93 degrees Celsius. If an engine is allowed to get too hot, moving metal parts can actually start to melt and fuse together, causing a variety of internal problems for your engine. For summer driving, coolant should be added as a 50/50 mixture of antifreeze and water. You can even buy pre-mixed coolant so you don’t have to bother with the measurements. Oil is the lifeblood of your car. It keeps your engine parts running clean, smooth and cool. Most owners manuals suggest that you change your oil and oil filter every 7,500 miles . Most of us do a lot of heavy driving during the summer when an engine is more likely to overheat. So at least check your oil before you head out on that road trip with your family. Over the winter, your cars air filter can get clogged with salt and other debris. A clogged air filter can lower your fuel efficiency. Replacing a dirty or clogged air filter can improve your mileage by as much as 10%. If your air filter really dirty, then it needs to be changed. Air filters are relatively inexpensive. The best way to keep your battery running smoothly is to keep it clean. Regularly detach the battery cables and wipe off the terminals. Make sure the battery is strapped down tightly and that all connections are secure. If you suspect that your battery is being overcharged or isn’t holding a charge well, take it to any branch of PTA Garage Services so we can run a quick battery inspection. If you suspect that your battery is being overcharged or isn’t holding a charge well, take it to a service shop where they can run a quick battery inspection. And if you need to replace the battery, make sure that it’s the right battery type for your specific make and model of car. Winter can be tough on windscreen wipers. Ice, snow, salt and extreme temperatures can cause cracks and tears in the rubber which in turn lowers the effectiveness of the wipers. If your wipers are leaving visible streaks or take several passes to clear away light rain, they need to be replaced. Brakes need to be replaced when the lining on your brake pads or brake shoes are worn down past the minimum thickness specified by your car manufacture – You can have your brake linings checked at any branch of PTA Garage Services. The following are some signs that your brakes need to be checked or replaced. The most common cause of a malfunctioning air conditioning unit is a low level of refrigerant. This could be caused buy a leak somewhere in the system. Since modern air conditioning systems are complicated, PTA Garage Services can check out any problems and recharge the system if required. Garage Services – We have invested in the latest technology to enable our expert staff to service your vehicle to dealership standards, without the associated main dealer prices. report on all work carried out. Click on the tabs below for our service check list schedule for Full Servicing & Intermediate Servicing to all makes of vehicle. The Interim Service is recommended every 6,000 miles or 6 months. Our Interim Service includes the following checks. Motoring Centres also supply and fit exhausts, water pumps, alternators, starter motor, cambelts, brakes and clutches to your car or light van. Located near Orpington hospital and only a few minutes walk from the town centre. You can leave your car with us and take a stroll down to the shops while we work on your vehicle. Call us, or call in and see us about your requirements, or submit an online booking here on our website. See you soon. We have invested in the latest technology to enable our expert staff to service your vehicle to dealership standards, without the associated main dealer prices. Our mechanics will provide sound advice, professional workmanship and a report on all work carried out. All our work is fully guaranteed. Call us, or call in and see us about your requirements, or submit an online booking here on our website. 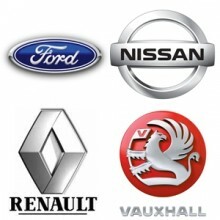 Our mechanics will provide sound advice, professional workmanship and a report on all work carried out. Call us or call in and see us about your requirements, or submit an online booking here on our website. Vehicle Smart is the smart way to check MOT and TAX data for any UK vehicle.